Happy Death Day gets a sequel, Joaquin Phoenix goes full clown, Train to Busan and The Wild Bunch get remakes, and Bruce Dern fills a gap. Today’s Ketchup brings you ten headlines from the world of film development news, covering titles such as Birds of Prey, Happy Death Day 2U, Kingsman 3, and Monster Hunter. Last week, the news broke that Warner Bros. was testing various actresses for the three characters that would be joining Margot Robbie’s Harley Quinn in their adaptation of DC Comics’ Birds of Prey. A sense of urgency was implied, with the roles expected to be cast by the end of September (ie, this weekend), so that the actresses could begin training in time for filming to start in January. 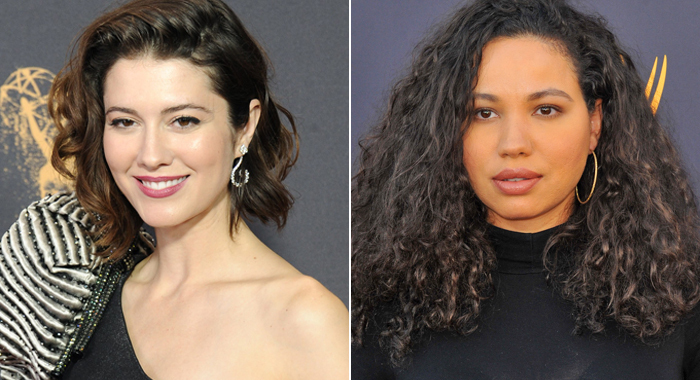 Well, that’s exactly what happened, as Warner Bros. has cast Mary Elizabeth Winstead (10 Cloverfield Lane, Scott Pilgrim vs the World) and former child star Jurnee Smollett-Bell (Eve’s Bayou, TV’s Friday Night Lights) as Huntress and Black Canary, respectively. Birds of Prey will be directed by Cathy Yan, who landed the job on the strength of Dead Pigs (Fresh at 100%). The fourth lead role yet to be cast is Detective Renee Montoya, but as her character is more “gun based” and less kicky/punchy, the training requirements might not be the same as with Huntress and Black Canary. We also learned this week that Warner Bros. has scheduled Birds of Prey for release on February 7, 2020, which puts it up against Peter Rabbit 2, and the weekend before James Bond 25 and Reese Witherspoon’s Legally Blonde 3. Warner Bros. reportedly decided to go with Birds of Prey following a pitch from Margot Robbie for “the idea of an R-rated girl gang film including Harley, because I was like, ‘Harley needs friends.’” You can learn more about the comic book histories of both Black Canary and Huntress in this piece, read Winstead’s own take on Huntress here, and see some of the wildly divergent social media reactions here. It was a little over a year ago that we first heard that Quentin Tarantino’s ninth film as director would be an ensemble drama set in Los Angeles in the summer of 1969 with the Manson Family murders as a narrative backdrop. That film is now titled Once Upon a Time in Hollywood (and scheduled for July 26, 2019). After Leonardo DiCaprio and Brad Pitt were cast as the two leads, one of the earliest casting announcements was the late Burt Reynolds as 80-year-old George Spahn, who allowed Charles Manson and his followers to live at the “Spahn Ranch.” Although Tarantino had started filming when Burt Reynolds died on September 6, Reynolds had not yet filmed his scenes, but the director has found a replacement for the George Spahn role in 82-year-old Bruce Dern, a longtime friend of Burt Reynolds who had worked with him on TV projects like Hard Round, Hard Time: The Premonition, and the TV series 12 O’Clock High. Dern has also previously worked with Quentin Tarantino on both Django Unchained and The Hateful Eight. Though it’s perhaps not immediately obvious, there is a fairly major element missing between Thor: Ragnarok and Avengers: Infinity War. Ragnarok ends with Tessa Thompson’s Valkyrie on board the Asgardians’ ship, and Infinity War begins with that same ship assailed by Thanos’ forces. So, where was Valkyrie? Avengers: Infinity War never directly addresses that, but this week, we learned that Thompson is apparently now filming scenes for Avengers 4 during the film’s second phase of production in Atlanta. Both she and Chris Hemsworth were in London at the beginning of the week for filming of the Men in Black spinoff (6/14/2019), in which they both co-star, and then they were both seen flying to Atlanta. Of course, there are other possibilities, such as Thompson just accompanying Hemsworth to Avengers 4 as a friend. Valkyrie’s absense from Avengers: Infinity War (along with Hawkeye and Ant-Man), however, suggests a mystery available for Avengers 4 to address when it’s released on May 3rd, 2019. Seth Rogen has two new movies scheduled for the summer of 2019: the comedy Flarsky with Charlize Theron (6/7/2019), and Disney’s remake of The Lion King (in which Rogen plays Pumbaa the warthog) (7/19/2019). Outside James Franco’s The Disaster Artist (for A24) and Netflix’s Like Father, the last time Seth Rogen starred in a comedy from a major studio was 2016’s Sausage Party. That R-rated animated comedy was distributed by Sony Pictures, and that studio is reuniting with Rogen for another food-themed project. Seth Rogen is attached to star in an untitled “high concept” comedy about an immigrant to America who lands a job at a pickle factory in 1918, only to fall into the brine and become preserved for 100 years. Rogen will play both the pickled survivor, and his great grandson, a “mild-mannered computer coder.” The screenplay is adapted from a novella originally published by The New Yorker, which you can read starting here, followed by parts two, three, and its conclusion. This movie will be the directorial debut of frequent Seth Rogen cinematographer Brandon Trost (Neighbors, This is the End, The Interview). Last year’s Happy Death Day was enough of a surprisingly effective horror take on Groundhog Day that it earned a Tomatometer score of 70%. We’ve known for a while that Universal Pictures was moving quickly to produce a sequel for next Valentine’s Day (against X-Men: Dark Phoenix, and the week after The LEGO Movie 2 and the sequel/reboot What Men Want). The cleverness inherent to Happy Death Day suggested that the producers might have fun with the sequel’s title, and this week, those speculations were justified. The film is now officially titled Happy Death Day 2U, which brings to mind both Internet lingo and Prince-style song titles. Jessica Rothe will return as the lead character in Happy Death Day 2U, along with several new cast members you can see listed here. Happy Death Day earned over $122 million globally from a production budget of just $4.8 million, and the sequel is expected to have been produced on a similarly low budget. Although Batman’s long-standing archenemy the Joker is famously known as the “Clown Prince of Crime,” that expression has always stood somewhat separate from the visual shorthand we associate with “clowns.” Yes, the Joker has white skin (or wears white clown makeup) and green hair and dresses colorfully, but his usual garb otherwise is not really a “clown costume.” That distinction has become increasingly obvious the last week or so as we’ve seen what Joaquin Phoenix looks like in next year’s Joker origin movie (10/4/2019). It started last Friday with a leaked “test footage” video, but the idea of Phoenix going “full clown” was driven home by an image of him in a clown costume, complete with green “Bozo”-style hair, oversized shoes, a red rubber nose, and a funny little hat. (Director Todd Phillips also revealed our first look at Deadpool 2 costar Zazie Beetz in character, but it’s a less revelatory image.) We also now have video footage of Joaquin Phoenix in character filming a subway action sequence, and in that scene, he more closely resembles Heath Ledger’s take on Joker, but it’s still more “clown” and less “prince of crime.” Also this week, the writers of the other upcoming Joker (and Harley Quinn) movie (starring Jared Leto and Margot Robbie) addressed their film’s tone. Train to Busan was a 2016 Korean horror-thriller set on a commuter passenger train during a zombie apocalypse that takes place in the surrounding countryside. The film is Certified Fresh at 96% and was the recipient of dozens of international and festival film awards. Train to Busan works well because, like previous films like Terror Train and Snowpiercer, the narrow geography of a locomotive lends itself to claustrophobia and tension. Producer and director James Wan first made his mark with the Saw franchise before moving on to Insidious, The Conjuring, and the action movies Furious 7 and this year’s Aquaman. Wan and his Atomic Monster production company are now developing a remake of Train to Busan for New Line Cinema to be written by Gary Dauberman, the writer of Annabelle (Rotten at 29%) and this month’s The Nun (Rotten at 27%). It’s not yet known who will direct the Train to Busan remake. Following a DUI arrest in 2006 and other controversies in following years, actor-turned-director Mel Gibson went ten years in between 2006’s Apocalypto and 2016’s Hacksaw Ridge without directing a film. Although it had a $40 million budget, and was released in the USA by Summit Entertainment, Hacksaw Ridge was, for the most part, an independent production (at least in terms of the “major studios”). Mel Gibson came a little closer to being back in Hollywood’s good graces as a director this week, with the news that he is now attached to write, direct, and executive produce a major remake for Warner Bros., namely Sam Peckinpah’s 1969 classic western The Wild Bunch. That film told the story of a group of aging former bandits and outlaws who unite for one last big score in Mexico, leading to an ill-fated showdown involving a gatling gun and dozens of enemies. It’s not yet known if Gibson’s version will be a direct remake, or something more like a new story “inspired by” Peckinpah’s original film. It’s also not known if he will take on one of the roles. The Wild Bunch now joins another project that Mel Gibson is developing, a World War II drama called Destroyer in which his Daddy’s Home 2 co-star Mark Wahlberg is attached to star. 2017’s Resident Evil: The Final Chapter ended the six-film run on the franchise starring Milla Jovovich and directed by her husband Paul W.S. Anderson. That the final film’s 37% Tomatometer score was the highest of the six says a lot about both the quality of the Resident Evil movies and the critical state of video game adaptations as a larger trend. Jovovich and Anderson aren’t quite done with video game movies, however, as they are currently preparing next to adapt the Monster Hunter franchise. Monster Hunter made the news twice this week, starting first with the addition of both Ron Perlman (Hellboy, Pacific Rim) and rapper-turned-actor T.I. Harris (Takers, Get Hard). T.I. will play a sniper, and Perlman will play “Admiral, the leader of the Hunter’s Crew.” The second casting story this week involved Thai martial arts star Tony Jaa of the Ong-Bak franchise. Monster Hunter is scheduled to start filming in South Africa in October on a budget of $60 million. In somewhat related news, the Hellboy reboot (with Stranger Things star David Harbour replacing Ron Perlman) has been pushed back three months from January 11, 2019 to April 12, 2019 (up against Robert Downey Jr’s The Voyage of Doctor Dolittle).